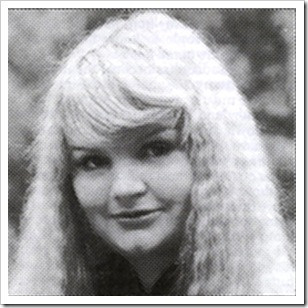 was born in Telos in 1725, and came to the City of Mount Shasta, California, sometime in the late 1980’s as an Ambassador from Telos; and lived in Mount Shasta with her husband Shield. 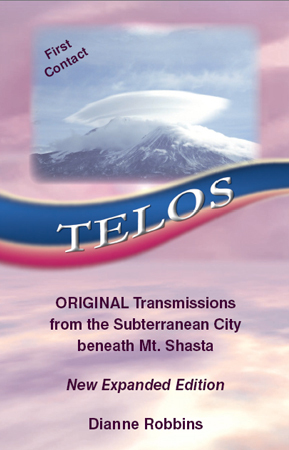 The following account of life inside Telos, was written by Juliette Sweet, who Sharula and Shield lived with while in Mount Shasta. The last time I talked to Shield was in 1993, and he told me that he and Sharula were going into seclusion on the surface. I do not know where they are. Think of Shamballa the Lesser as the United Nations of over 100 Subterranean Cities that form the Agartha Network. It is, indeed, the seat of government for the inner world. While Shamballa the Lesser is an inner continent, its satellite colonies are smaller enclosed ecosystems located just beneath the Earth’s crust or discreetly within mountains. All cities in the Agartha Network are physical, and are of the light, meaning that they are benevolent spiritually-based societies who follow the Christic teachings of the Order of Melchizedek. Quite simply, they continue in the tradition of the great mystery schools of the surface, honoring such beings as Jesus, Buddha, Isis and Osiris…all of the Ascended Masters that we of the surface know and love, in addition to spiritual teachers of their own longstanding heritage. Why did they choose to live underground? Consider the magnitude of the geological Earth changes that have swept the surface over the past 100,000 years. Consider the lengthy Atlantean-Lemurian war and the power of thermonuclear weaponry that eventually sank and destroyed these two highly advanced civilizations. The Sahara, the Gobi, the Australian Outback, and the deserts of the U.S. are but a few examples of the devastation that resulted. The sub-cities were created as refuges for the people and as safe havens for sacred records, teachings, and technologies that were cherished by these ancient cultures. RAMA: Remnant of the surface city of Rama, India. Located near Jaipur. Inhabitants are known for their classic Hindu features. Population: 1 million. SHINGWA: Remnant of the northern migration of the Uighurs. Located on the border of Mongolia and China. Population: ¾ million. TELOS: Primary Lemurian outpost located within Mt. Shasta, with a small secondary city in Mt. Lassen, California, USA. Telos translated means “Communication with Spirit”. Population: 1.5 million. How can over a million people make their home inside Mt. Shasta? While we’re stretching our imaginations, our neighbors, the Japanese, have already blueprinted underground cities in answer to their surface area problem. Sub-city habitation has, for thousands of years, been a natural vehicle for human evolution. Now, here is a peek at a well-thought-out ecosystem. The dimensions of this domed city are approximately 1.5 miles wide by 2 miles deep. Telos is comprised of 5 levels. LEVEL 1: This top level is the center of commerce, education, and administration. The pyramid-shaped temple is the central structure and has a capacity of 50,000. Surrounding it are government buildings, the equivalent of a courthouse that promotes an enlightened judicial system, halls of records, arts and entertainment facilities, a hotel for visiting foreign emissaries, a palace which houses the “Ra and Rana Mu” (the reigning King and Queen of the royal Lemurian lineage), a communications tower, a spaceport, schools, food and clothing dispatches, and most residences. LEVEL 3: Hydroponic gardens. Highly advanced hydroponic technology feeds the entire city, with some to spare for intercity commerce. All crops yield larger and tastier fruits, veggies, and soy products that make for a varied and fun diet for Telosians. Now completely vegetarian, the Agartha Cities have taken meat substitutes to new heights. LEVEL 5: The Nature level. Set about a mile beneath surface ground level, this area is a large natural environment. It serves as a habitat for a wide variety of animals, including those many extinct on the surface. All species have been bred in a non-violent atmosphere, and those that might be carnivorous on the surface now enjoy soy steaks and human interaction. Here you can romp with a Saber-Toothed Tiger with wild abandon. Together with the other plant levels, enough oxygen is produced to sustain the biosphere. LANGUAGE: While dialects vary from city to city, “Solara Maru”, translated as the “Solar Language”, is commonly spoken. This is the root language for our sacred languages such as Sanskrit and Hebrew. GOVERNMENT: A Council of Twelve, six men and six women, together with the Ra and Rana Mu, do collective problem solving and serve as guides and guardians of the people. Positions of royalty, such as are held by the Ra and Rana Mu, are regarded as ones of responsibility in upholding God’s divine plan. The High Priest, an Ascended Master named Adama, is also an official representative. 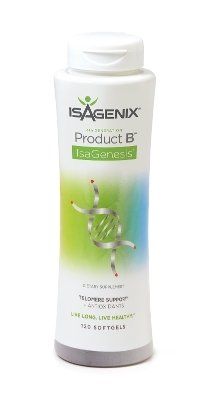 COMPUTERS: The Agarthean computer system is amino acid based and serves a vast array of functions. All of the subcities are linked by this highly spiritualized information network. The system monitors inter-city and galactic communication, while simultaneously serving the needs of the individual at home. 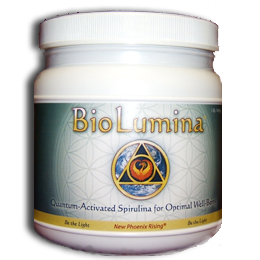 It can, for instance, report your body’s vitamin or mineral deficiencies or, when necessary, convey pertinent information from the akashic records for personal growth. MONEY: Non-existent. All inhabitants’ basic needs are taken care of. Luxuries are exchanged via a sophisticated barter system. TRANSPORTATION: Moving sidewalks, inter-level elevators, and electromagnetic sleds resembling our snowmobiles within the city. For travel between cities, residents take “the Tube”, an electromagnetic subway system capable of speeds up to 3,000 m.p.h. Yes, Agartheans are well versed in intergalactic etiquette and are members of the Confederation of Planets. Space travel has been perfected, as has the ability for interdimensional shifts that render these ships undetectable. ENTERTAINMENT: Theatre, concerts, and a wide variety of the arts. Also, for you Trekkies, the Holodecks. Program your favorite movie or chapter in Earth history and become a part of it! CHILDBIRTH: A painless three months, not nine. A very sacred process whereby, upon conception, a woman will go to the temple for three days, immediately welcoming the child with beautiful music, thoughts, and imagery. Water birthing in the company of both parents is standard. HEIGHT: Due to cultural differences, average heights of subterranean citizens vary—generally 6’5” to 7’5” in Telos, while nearly 12’ in Shamballa the Lesser. ASCENSION: Absolutely, and much easier and more common than on the surface. Ascension is the ultimate goal of temple training. Why have they stayed underground all this time? In part, because the Agartheans have learned the futility of war and violence and are patiently waiting for us to draw the same conclusion. They are such gentle folk that even our judgemental thoughts are physically harmful to them. Secrecy has been their protection. Until now the truth of their existence has been veiled by Spirit. When can we visit? Our entrance to the sub-cities depends on the purity of our intentions and our capacity to think positively. A warm welcome from both worlds is the ideal and must be expressed by more than just the lightworking community. Currently, a few hundred brave subterraneans are working on the surface. In order to blend with the masses, they have undergone temporary cellular change so that, physically, they don’t tower above the rest of us. They may be recognized by their gentle, sensitive nature and somewhat mysterious accent. We wish to introduce you to Princess Sharula Aurora Dux, the daughter of the Ra and Rana Mu of Telos. Sharula has been officially appointed Ambassador to the surface world by the Agartha Network. She was born in 1725, and looks 30. This article is courtesy of her firsthand experience. (turn on your speakers) You will be amazed by what you hear! Her Telos book opened the way for people worldwide to make their own connection to Adama and the City of Telos. The messages in her book were dictated by Adama, word-for-word, and never edited. Each sentence carries the pure flow of energy from Adama that connects you to Telos through Adama’s own vibration.